You are here: Home » Take the HB 1750 Challenge! September 7, 2014 | St John LM | Comments Off on Take the HB 1750 Challenge! 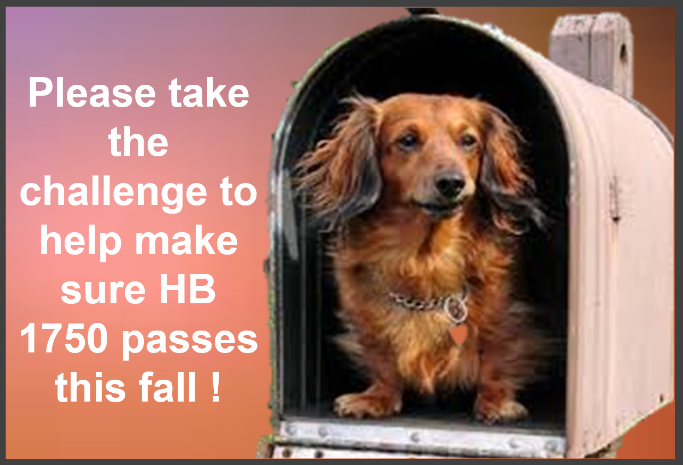 Take the HB 1750 Challenge! One thing is certain about the ALS Ice Bucket Challenge: it is a complete success, generating over $100 million in donations for ALS nonprofit organizations and, more importantly, raising awareness about this devastating disease. The HB 1750 Challenge is similar. It asks you to do something very simple to remind our state legislators how far our mutual work has brought HB 1750, the bill to prohibit the slaughter of dogs and cats for human consumption and also finally ending cruel live pigeon shoot contests. Between now and September 15th, when our state legislators return to Harrisburg, write a note to your legislators about HB 1750 and mail it to their local office. If your senator and representative support the bill, express your thanks and let them know that you expect this bill to be brought to the floor for a vote during the Fall session. Your note can consist of just a few sentences, or it can be longer. If your legislator does not support the bill, you can urge them to do so and explain why it’s important. Ask your friends and family members to commit ten minutes and 49 cents to send their thoughts. If each person reading this sends one thank-you note, and persuades one friend to send a thank-you note, the result is an impressive stack of mail to our legislators. There are several reasons why hand-written notes catch the eye of a legislator. Today’s technology has rendered hand-written notes almost obsolete – which is exactly why such a thing will stick in a politician’s mind. Before computers became an integral part of our daily lives, people used the mail to to communicate their thoughts and desires. If people felt strongly about an issue or an incident, they would write a letter and mail it to the appropriate party. Many huge mail bags would arrive at a celebrity’s or public figure’s office, and several people would be assigned the job of reading the incoming mail. A hand-written note can have a tremendous impact. There is more effort involved; rather than simply clicking “send,” the person must buy a stamp and mail the note at the local post office. This can indicate to the recipient the sender’s extra efforts in trying to be heard. Of course, as technology has advanced, the ways to communicate with our legislators have expanded and there is also something to be said for opening your e-mail and finding it filled with requests to support a bill. A letter delivered by the postal service, though? That is a bit harder to ignore. It is a physical object that takes up space, and if enough of them arrive at the same location, something will have to be done with them or they will pile up quite high. It is also not as easy to dispose of a letter without opening it. The intrigue of an envelope addressed to you from another person is very compelling. Now is the time to remind not only our legislators, but other Pennsylvania citizens, about this extremely important bill. Do you think we can do it? 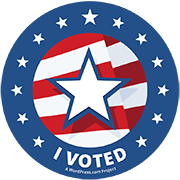 We can – but only if we all put pen to paper and make our voices heard. ← Who is Humane PA?